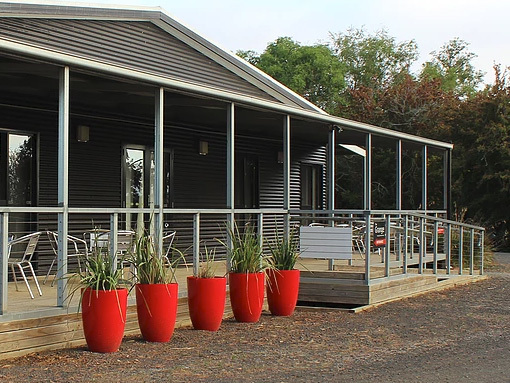 The Grange is situated in a historic rural township on the Midlands Highway between Hobart and Launceston, approximately 130 kilometres north of Hobart and 65 kilometres south of Launceston. 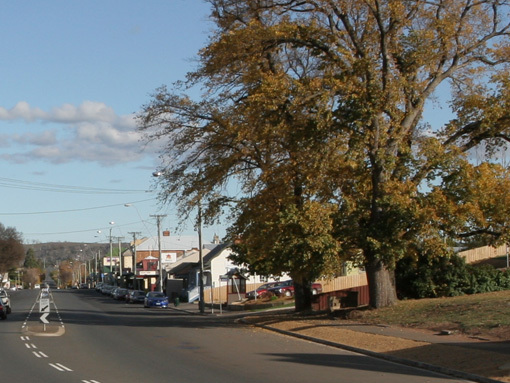 Campbell Town was established in the 1820’s as one of a chain of garrison stations between Hobart and Launceston and because of the soil, adequate water, and fertile plains, Campbell Town soon became a substantial rural town and today it is the centre of fine wool growing, beef cattle production, and timber milling. Situated on the banks of the Elizabeth River, Campbell Town is an historic settlement in the midst of a rural environment. The town is of considerable historic interest. 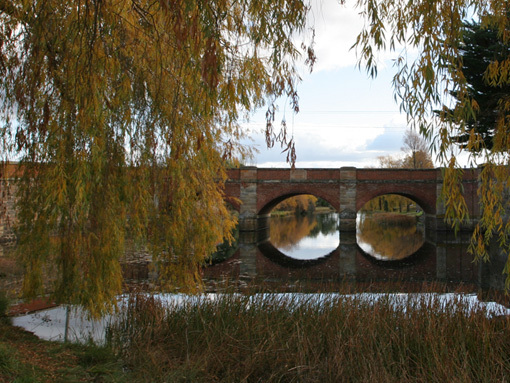 Of particular interest is the Red Bridge which was built in c1836-38, and is the oldest convict built brick bridge in Australia. Campbell Town has a variety of shopping experiences including exclusive leather goods, tempting confectionary, trendy homewares, antiques, bakeries, a supermarket with Post Office and Newsagency, a BWS bottle shop, Chemist and several ATMs all within easy lunchtime walking distance from The Grange.